We all have lots of leaves in our garden after autumn arrives, right? Not to mention the fact that we have to somehow get rid of trimmed hedges or tree branches to restore our garden’s clean look. A great thing about it? Some of the best garden shredders cut organic matter so finely that we can even make compost and save some money. To make sure you get a good shredder, you first need to learn how to interpret the official specific features. Therefore, we came up with a buying guide at the end of the reviews, don’t forget to take a look. You might be in a rush so we’ll first start with the reviews. The products below are some of the best on the UK market. However, they have different features that make them better suited to meet different purposes. Compare, contrast, and make the best choice! The Bosch AXT25-TC is one of the most versatile shredders on the market, considering it can deal with both soft and hard materials. It’s also a very powerful tool because it can shred woody materials with a diameter of up to 45 mm. However, the AXT25-TC can’t deal with smaller waste, like autumn leaves. Analysing its construction, you understand why this shredder is so powerful. It boasts a 2500W motor, with a high torque of 41rpm and 650 Nm. Besides, the cutting capacity is 230 kg/h, meaning you can shred quite a lot of garden waste fast. The Turbine-Cut System enables not only a fast throughput but also a quiet operation of merely 82 dB. Moreover, blockages rarely happen; and even if they do, the Block Release System helps you reverse and unblock. This is a resistant shredder, especially because its cutting mechanism is shielded and because it uses quality materials. The removable hopper makes for an easy filling, and the 53-litre collection box comes with a safety function, so the shredder doesn’t start until the box is locked in place. On the other hand, if you have a lot of materials to shred, the collection box needs frequent emptying. Also, there’s no collection bag included – you have to pay extra to get one. In the world of affordable shredders, the Einhell GH-KS is among the winners, with a particular set of quality features. For instance, the two reversible blades are manufactured from steel, which is a resilient material that has a good cutting performance. But at maximum 112 dB, this is definitely not a quiet shredder. The funnel opening isn’t so big, but it features a safety interlock which shows real user-friendliness. The included rubbish bag and the hook that helps you secure it are a plus, considering that other premium products don’t include one. Don’t expect a particularly resistant bag, though. This shredder is light and compact, with a transport handle that makes it easy to carry. The included prodder is also useful for collecting smaller waste, like paper or leaves. However, one of its main disadvantages is that it features a particularly small electric cable, so you might need an extension. With a 2400W motor, this small, yet powerful shredder can dispose of small to medium waste, including wood cutting with a maximum 40mm branch diameter. However, the branches need to be cut before you load the shredder, and you need to place them vertically, which turns this shredder into a fussy feeder. One of the best garden mulchers, the Forest Master can get rid of timber waste in no time. As is often the case with such heavy-duty tools, potential buyers are interested in how safe such a shredder is. But thanks to its easy-to-operate emergency stop brake, the Forest Master is as safe as can be. That said, you have to understand how powerful it is. 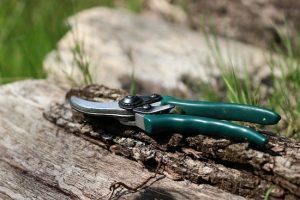 Its twin reversible blades are very sharp and resilient, so they can cut even bigger branches, up to 80mm max branch diameter. Besides, this shredder has a big capacity, reaching up to 5CM each hour. The motor is considerably powerful too, with 2400 rpm roller max speed and 6.5 HP. However, this is one of the biggest and heaviest machinery on the market, so it’s not extremely portable. Even so, the assembly process is easy, in under 30 minutes. Of course, all these quality features increase the retail price (by quite a lot), but you can look at it as an investment. This Draper Shredder is one of the best home shredders on the market thanks to its reduced noise levels, reaching only 92dB, similar to a food blender (Bosch is more silent, but more expensive). But there are other construction features which recommend this product. For instance, the roller blade is durable and sharp, made from fully hardened steel. With a 46 r/min speed, you can use this shredder to cut through foliage and garden waste, even some brush. Keep in mind that the maximum cutting diameter is 40mm. The overload safety device is another plus in terms of security, especially considering that this is a fairly powerful machinery, with a 2500W motor. The downside is that it doesn’t shred as finely as some would want. There are plenty of extras included, which make the Draper Shredder user-friendly. For instance, the wheels and transport handle make this a portable tool, although it doesn’t weigh a lot either. There is a push stick included to load it easily, as well as a canvas collection bag that’s fairly resistant. The 3-metre cable could be longer, though, and it’s also quite difficult to attach the output chute. This Titan shredder is great for compost, with its huge capacity of 80 kg/hour. It can even shred branches, with a maximum 45mm diameter, so it’s a very versatile tool. On the other hand, keep in mind that this shredder becomes clogged when you load it with moist compost. The solution is to remove its plastic teeth, which also increases the feeding hole. You need a 230-140V power supply to operate it, but remember that its cable is just 3 meters long. Another disadvantage is that the sound pressure reaches 108 dB, fairly close to the 110 human pain threshold. The good news is that it has the same noise intensity to a rock concert. And that’s what it will feel like to use it. Its cutting blades are sharp and resistant, while its motor is powerful at 2500W. It’s easy to install and safe to use, while also being fairly portable thanks to a low weight. There are various things to take into account before settling on a shredder. Their purpose, different types and how they work are all important features to select the best garden shredder for home use. 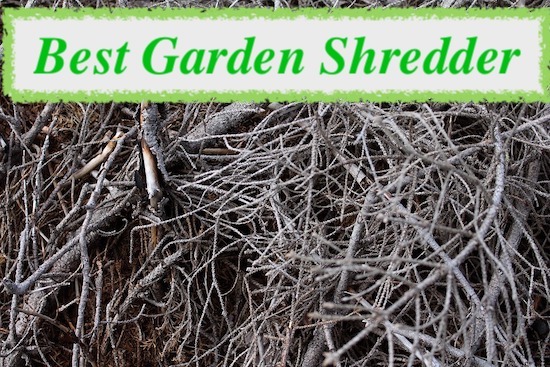 How do Garden Shredders Work? The general mechanism is that you place any organic waste into the top opening, which is called the hopper. Then the shredder breaks it down by pulling it through and cutting it either with cogs, blades and flail hammers or rotating blades. The particles resulted emerge from the other end of the shredder. If the shredder can cut the organic matter into very fine pieces, they can be broken down as compost faster. There are various types of shredders, which is why it’s a good idea to get the one that fits your purposes. These types of shredders, also called chippers, are great for producing compost because they can chop leaves into very fine particles. The main downside of impact garden shredders is that their noise levels are through the roof. Another downside is that impact garden shredders are high-maintenance. Their blades don’t resist a lot of wear and tear, but the good news is that they can be replaced quickly, without breaking the bank. Most such shredders boast reversible blades, meaning you can turn them around when they get blunt, thus making the blades last longer. Crushing garden shredders use, as the name suggests, a crushing mechanism by employing ridged rollers that squash the organic material against a plate. As such, their main advantage is their noise reduction. These types of shredders also work with a bigger organic material, such as branches that are turned into chips. Another upside is that they’re less high-maintenance than chippers. The disadvantage is that crushing shredders can’t handle mushy material, which makes them clog. But if you’ve set your heart on a crushing garden shredder and must use it to deal with moist material, it’s wise to get one with a reverse action, as that helps clear blockages faster. You may also want to settle on an electric garden shredder. These are more compact and lightweight, as well as affordable. On the other hand, the cable length can be a nuisance, so ensure it can reach where you want it to. Another disadvantage is that they’re not really powerful, so the resulted material doesn’t have the best quality for optimum compost. As opposed to electric garden shredders, the ones that feed on petrol are more powerful. Without an electric cable to constrain you, you can use them anywhere you like to. Even if they’re bigger and heavier than their electric counterparts, you can tow them with your ATV and get them where you want. On the other hand, petrol shredders are more expensive, and you need to fill them with petrol instead of simply plugging them in. Another disadvantage is that they’re high-maintenance, so they require yearly servicing. You should also take into account the amount of material you need to dispose of and how fast you want to achieve that. In other words, you have to think of the cutting capacity of your garden shredder. While crushing and petrol garden shredders have a bigger capacity, they are also heavier and more difficult to transport. If you need to get rid of bigger waste and at a faster rate, you need a more powerful motor, with more horsepower. The obvious advantage is that a powerful motor is extremely efficient. On the other hand, a powerful motor requires a bigger energy consumption and, if you’re using it very frequently, it might get damaged faster. Another disadvantage is that very powerful motors may be noisier. It’s always a good idea to take safety features into account with dangerous machinery such as garden shredders. Some may not even start until the collection box is mounted, while others might have a side lever or button that stops them from working. Apart from these built-in safety features, you should also perform regular maintenance check-ups, to ensure the shredder is in working order. Special features might also be important when selecting a garden shredder. Examples include prodders, push sticks, garbage containers or bags, as well as lid handles or removable hoppers. Just make sure to check if the included extras are quality or not. If not, it might be better to choose another shredder, even if that means paying for additional things you don’t necessarily need. However, guarantees are always an advantage. Most garden shredders offer guarantees for a few years, especially if they’re manufactured by a trustworthy brand. Check to see which sorts of repairs and replacements are available under the guarantee and what conditions you have to meet to claim them. 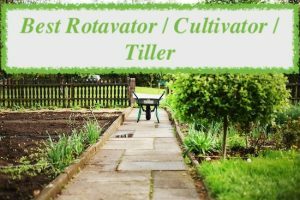 There are a lot of things to consider before acquiring your garden shredder, but all of them relate to your main purpose. If you know what you need the shredder for, you know what to get! Have you ever used a garden shredder before?